Grind together all the ingredients ' to grind ' using a blender to form a smooth paste.Keep aside. 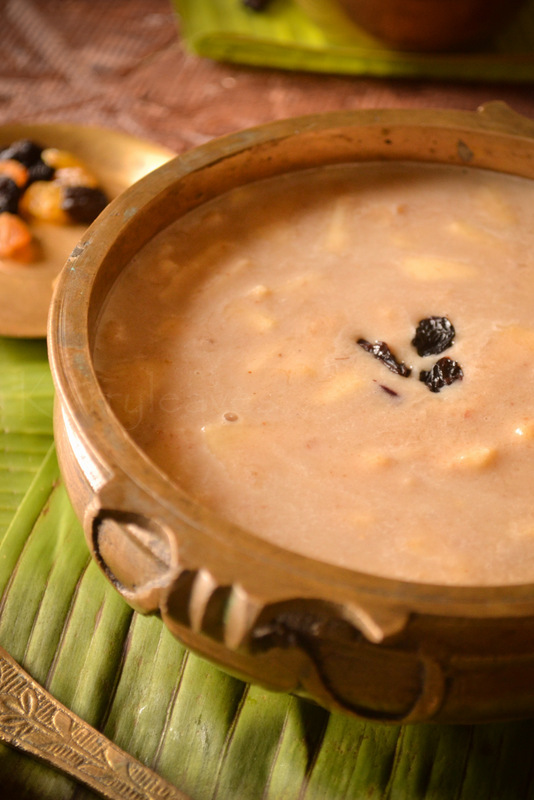 In a mixing bowl combine together,coconut milk,prepared dates paste,mashed banana and chopped dates. 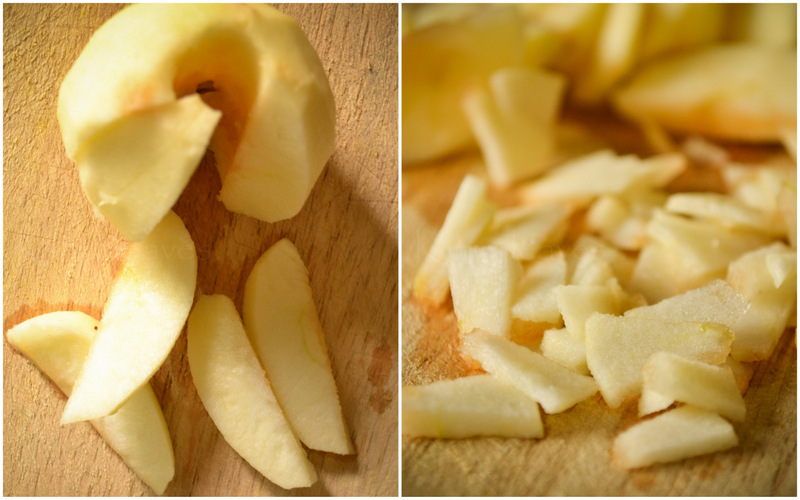 Cut the peeled apple into thin long strips and make very thin slices from each segment as shown in the picture. 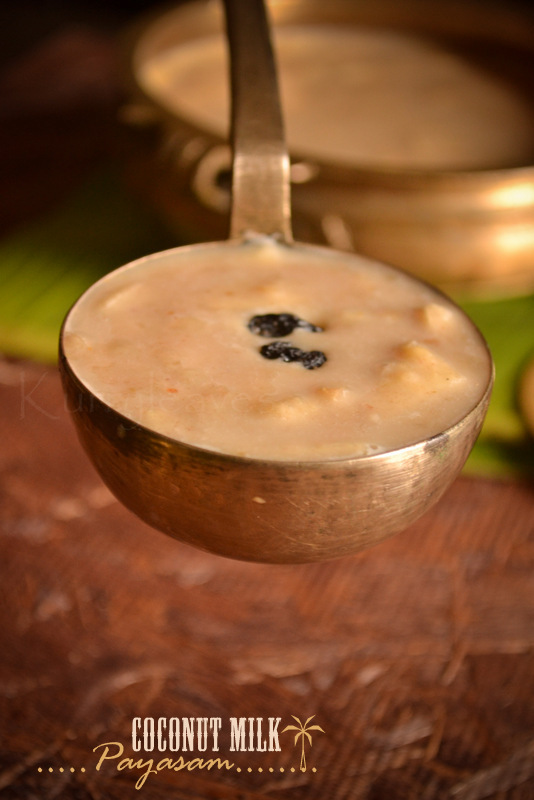 (Make it as thin as possible,it should look almost like ada in ada pradhaman).Now immediately add this to the coconut milk mixture to avoid discoloration. 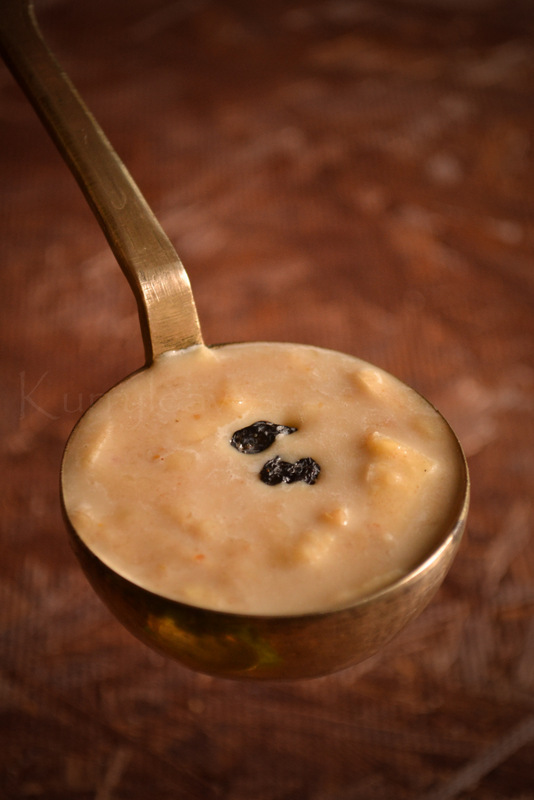 Adjust the quantity of dates and jagerry according to your taste or sweetness required. 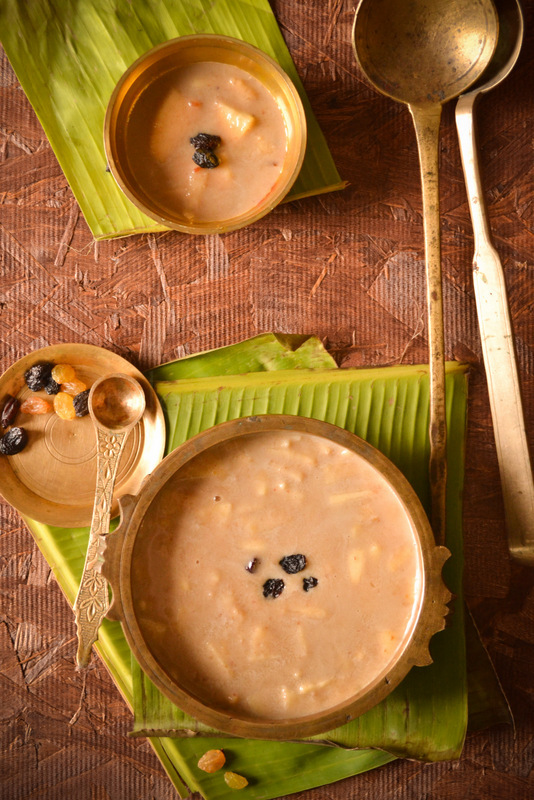 Coconut milk should not be too thin or too thick. Try using brown sugar, if jagerry is not available. Add a teaspoon of ghee to enhance the flavor ,if desired. Wonderfully done,who can resist to it. 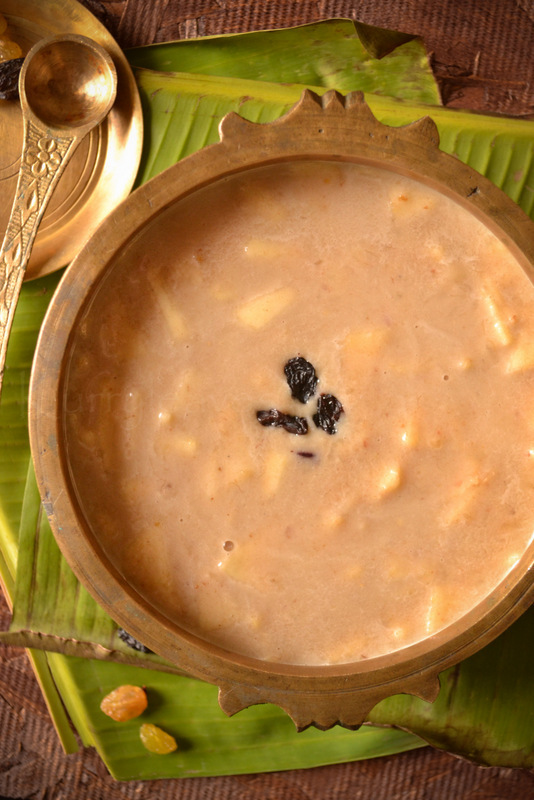 Apple and ethapazham,sounds yum..will try this payasam. I always love your pics, n your dish is very new to me. Amazing healthy dish. Very talented photographer if that's you, Kudos. Do you follow naturopathy? Great work!! !